Bitnami recently launched an integrated portal allowing you to deploy any of the Bitnami server applications directly into vCloud Air with (nearly) one click. Today I finally got around to playing with it and have found it extremely simple and easy to quickly deploy anything from Bitnami. You can read the full article about what they built here. Bitnami is a library of installers or software packages for web applications and development stacks as well as virtual appliances. Bitnami is sponsored by Bitrock, a company founded in 2003 in Seville, Spain by Daniel Lopez Ridruejo. Bitnami stacks are used for installing software on Linux, Windows, Mac OS X and Solaris. Back in June, Roshni Pary and Mike Roy wrote a quick blog article on how to use Bitnami with vCloud Air. In part 2 of this blog series, we are showcasing the concept of testing a packaged application on vCloud Air with Bitnami. Bitnami is an industry standard service that IT, developers, and LoB users turn to for deploying applications in the cloud. 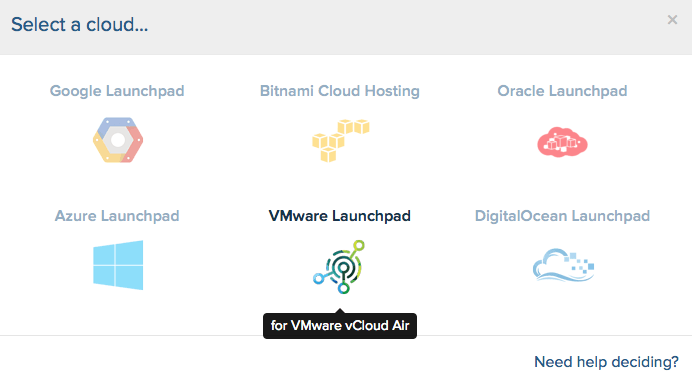 VMware has recently partnered with Bitnami to bring the Bitnami Stack to vCloud Air and we have introduced Bitnami Launchpad for vCloud Air as a part of this. 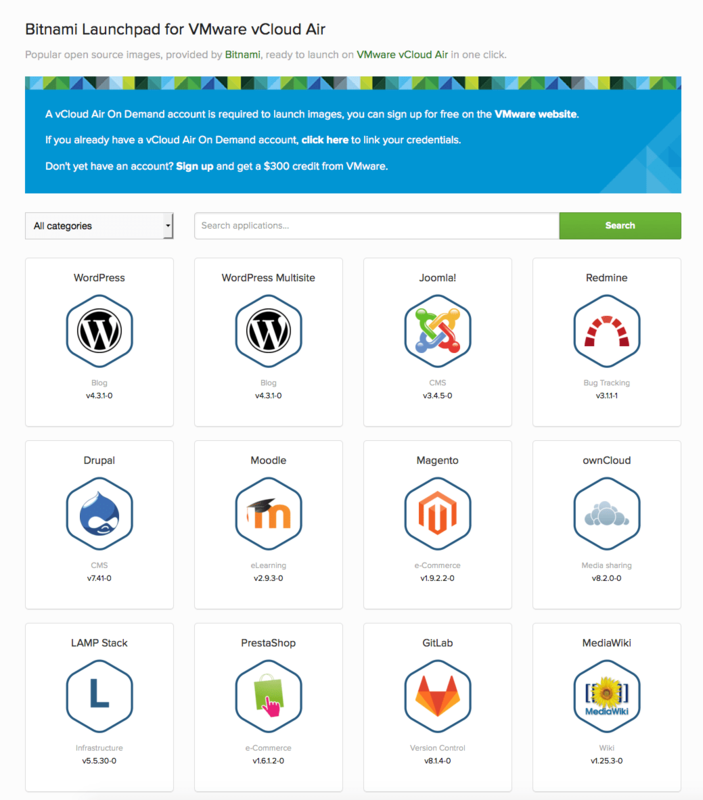 Launchpad is a tool to deploy any Bitnami stack in vCloud Air using only a couple of clicks and is available at vmware.bitnami.com. If you are a Bitnami fan, you can just use the Bitnami APIs to deploy the latest versions of your favorite applications and development stacks on vCloud Air. So for my test I wanted to deploy a wordpress appliance offering multi site support. 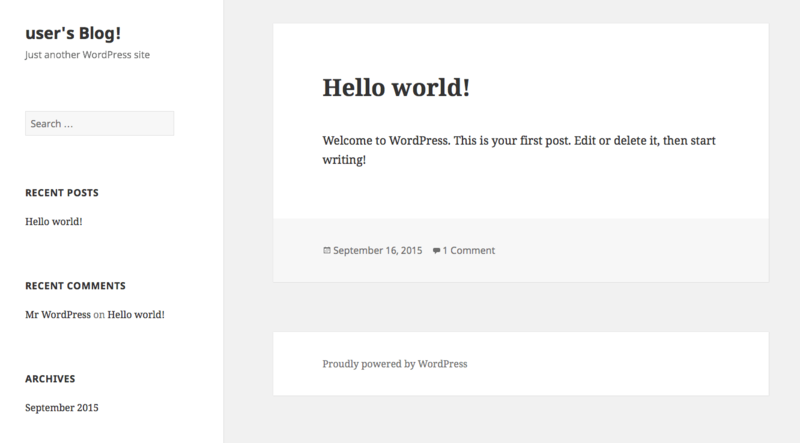 Within less four minutes I had wordpress deployed and running. It really is that simple. Well, to simply deploy an application appliance, visit Bitnami.com and click the console button. You are then presented with all the cloud options available. My preference is for VMware vCloud Air (no suprises there). Once you select your cloud, you get the full list of applications available. All you have to do to deploy an app is click the launch button for the application. 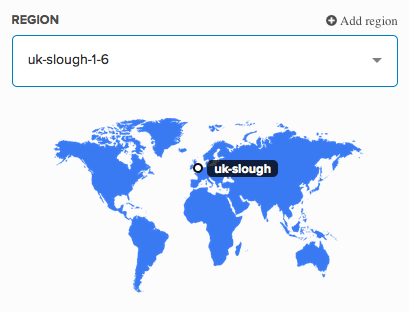 You then select the location and configuration options for your virtual machine and off you go. You can change your regions dependant upon your vCloud Air configurations too, simply select a different region to deploy your virtual machine. Once its deployed, you simply start working with the application. 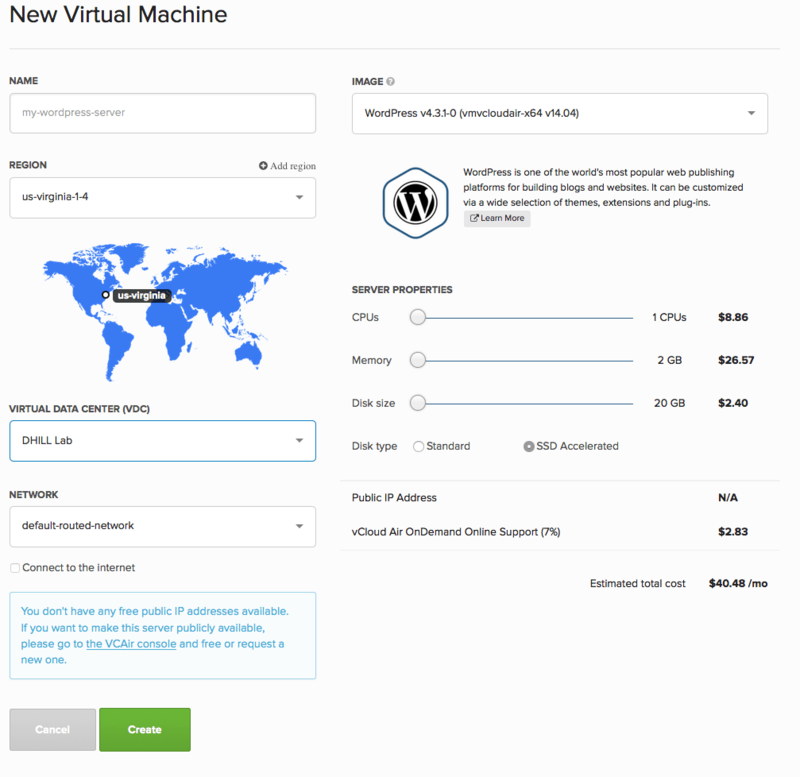 You can machine the virtual machines from both the Bitnami portal and your vCloud Air portal. You can even deploy the applications directly from vCloud Air, by clicking on the Bitnami button you can see in the right hand corner. I am really amazed at how simple and quickly you can deploy these applications from Bitnami and would really recommed you try it out.